Friday 1st May saw the start of another Ouse sea trout season. I walked the river and there was the odd sea trout angler about but no trout. However, I did hear the sounds of cuckoo and some small bird activity in the river side vegetation as well as seeing at least five families of swans, a pair of egrets and three kingfishers. I also saw shoals of mullet below Hamsey Cut where the silt bar has almost completely silted up the Ouse loop at Hamsey and rushes are abundant. Following heavy rain on the 6th May the next day was an improvement and I took a walk along the Ouse in sunshine seeing the odd mayfly with some shoals of dace. Weed is growing in the river with moderate flow but levels are falling upstream in the tributaries and main river. Friday 8th was a very sad day as I attended a funeral at Isfield church. Gordon and his late wife were OART and SOCS members and he was a good sea trout fisherman. 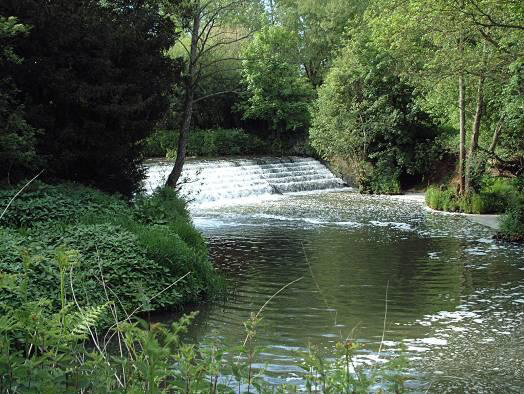 I read the eulogy on the life of Gordon and his wife Pauline as they lie in peace in Isfield church yard to the backdrop of the falls and fish ladder at Sutton Hall. Thank you Gordon and Pauline for the many years of friendship.